How Does Not Just A Copy Shop Inspire Action? Very few of our competitors (if any) let their customers and prospects know why they do what they do. What their purpose is. Why they exist. Why they get out of bed in the morning. Lastly, they might tell them why they do what they do. For anyone who is starting a business, utilising printing services wisely is vitally important. It is essential for franchisors to understand the results gained of professional printing services, such as Not Just Another Copy Shop. 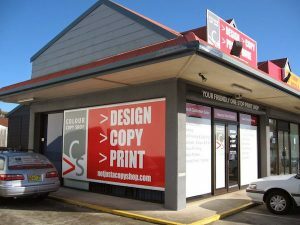 At Not Just Another Copy Shop, the eager businessperson has access to a whole array of expertise that can save time and money, and maximise efficiency and market value. If you are the owner of a successful business and you’ve decided to offer franchise contracts to spread your brand and business model far and wide, you will need to supply printed materials to your new franchisees. This will include operational and promotional materials. If your franchise is a retail operation with a storefront, then you will dependent on printed materials more than other businesses, which may be more digitally weighted towards marketing. THE SINGLE MOST IMPORTANT thing that you can do for your burgeoning new business is to invest in powerful copywriting & high quality graphic art design. Layouts, logos, colours, fonts, organisation of information and images, if done well, will communicate NON-VERBALLY to your potential investors that you are professional, successful, dependable, driven, and a winner that they can count on. You won’t need to use words to say, “I’m successful and professional” because your graphics will SHOW them on a visceral level that you’re all the things that they want you to be. The other services and products you need will fall into place and succeed for you as a result of the outstanding professional graphic design that you’ve invested in. That’s why our top level of copywriting plan is called Gold, because that is what its value will be to you. Not Just A Copy Shop can be your one stop franchising support shop. We offer different levels of creative assistance at reasonable prices to help you market your business through creative writing and design. Whatever your franchising and promotional product needs, check out our Bronze, Silver, and Gold plans. Decide which plan is best for your business, whatever stage you may be in, and let’s get rolling!